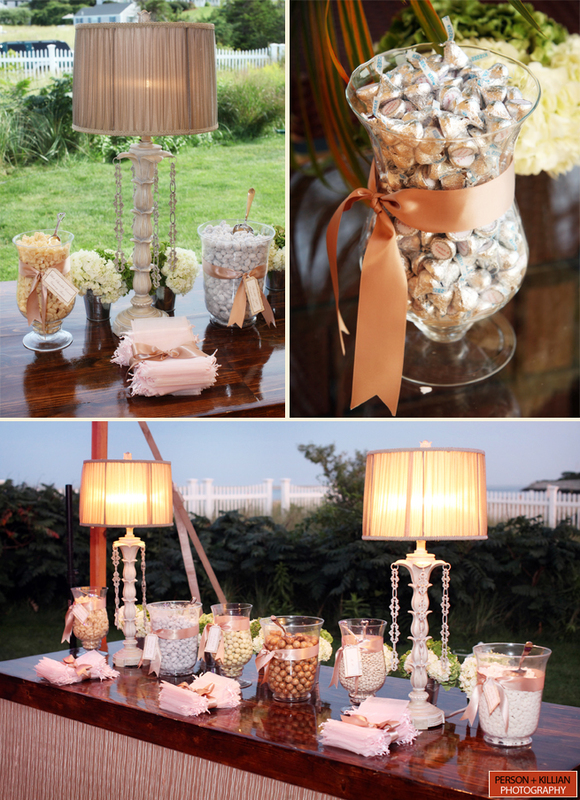 The Candy Bar … Never Gets Old! 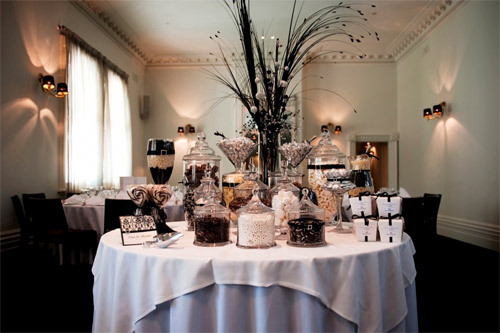 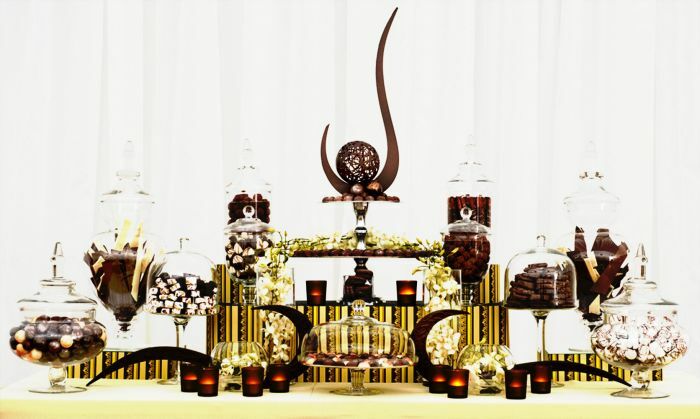 I absolutely love the sculptures that resemble chocolate and the bark used on these candy buffet tables. 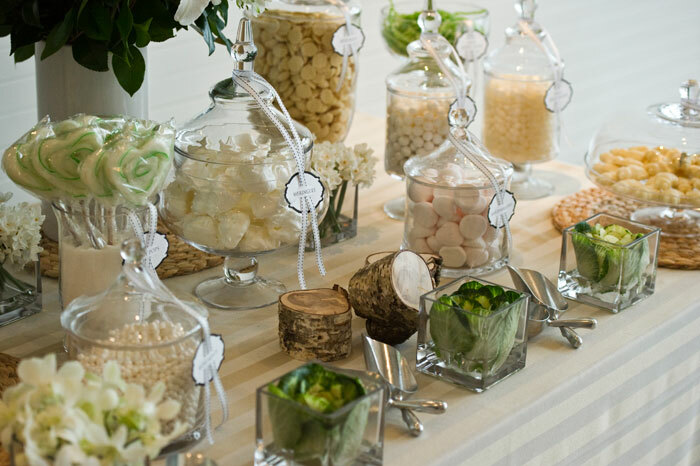 I never would have thought to use small pieces of tree bark for a candy buffet display, but after seeing it, it really works and it actually looks quite amazing. 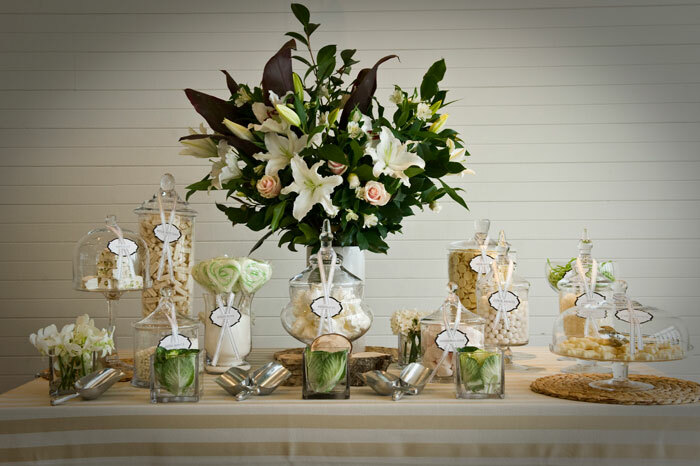 As if the candy wasn’t eye catching enough, these centerpieces are absolutely stunning and can be seen from across the room. 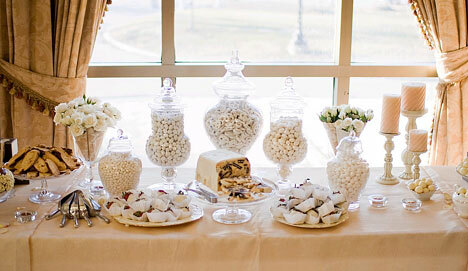 I guess that’s a good thing, because you really do want all your guests to eat up every last piece of candy so that it won’t be waiting for you when you return from your honeymoon. 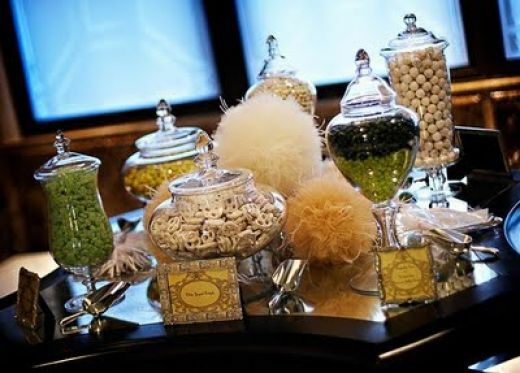 Put your personal flare and sense of style into your candy buffet table. 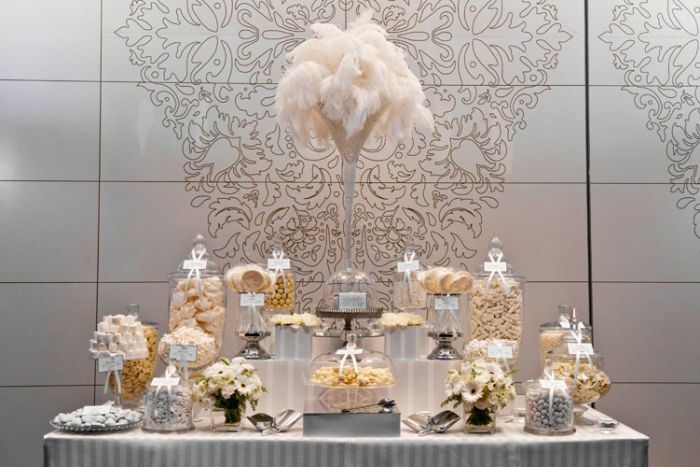 Utilize damasks , feathers, any of the current trends or just elements that you can and will enjoy… after all, it is your wedding and you have to enjoy your candy buffet as well! 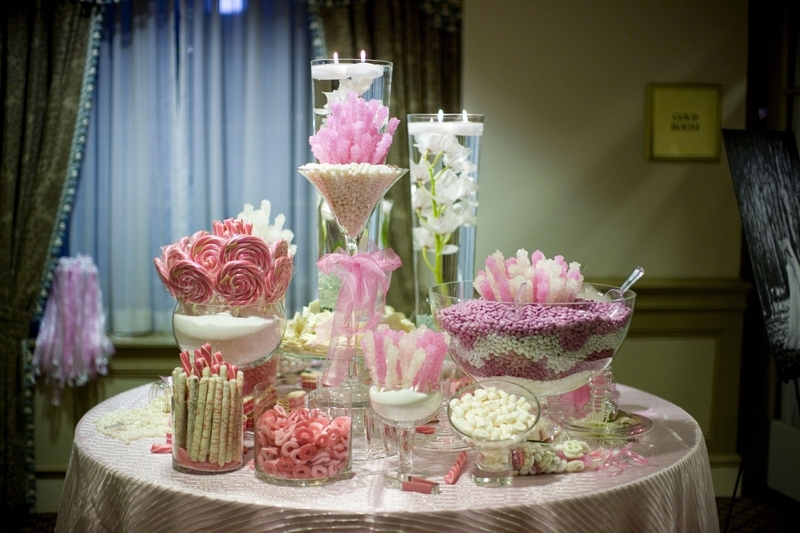 Soft pinks, yellows and oranges are perfect to incorporate in your candy buffet table. 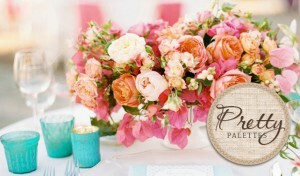 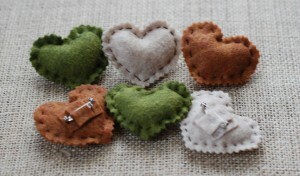 I love these colors and they make an amazing combination for your wedding day decor. 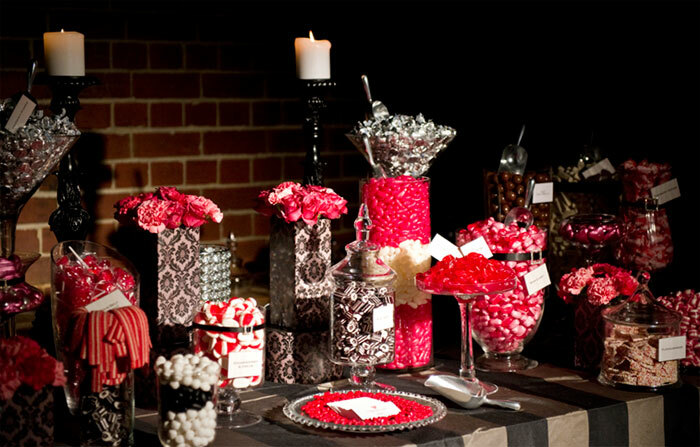 Never be afraid to use color, especially on a table full of candy! 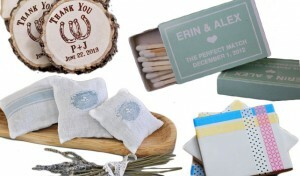 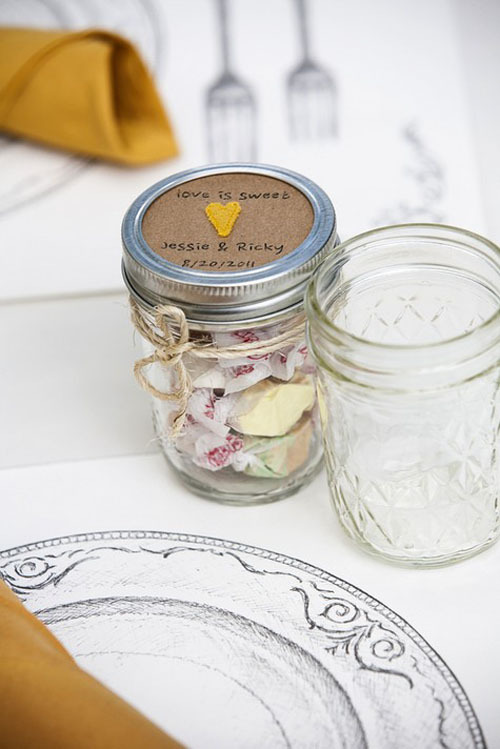 Cute Wedding Favors in Mason Jars!